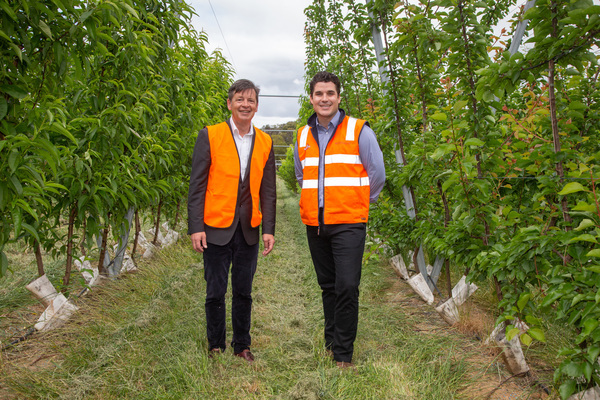 Andrew Montague and MP Luke Donnellan standing amongst a trial block of apple trees. 186918_08. 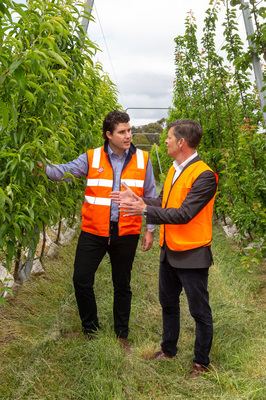 With assistance from the State Government, Montague, an Australian fresh produce company, will establish a new state-of-the-art packing and export distribution centre in Narre Warren North, creating 25 new local jobs. The $26 million project has been made possible with assistance from the governments Food Source Victoria program. The 18,000 sqm facility will provide end-to-end export logistics services. Construction of the facility is expected to commence in early 2019 with completion anticipated by late 2020. 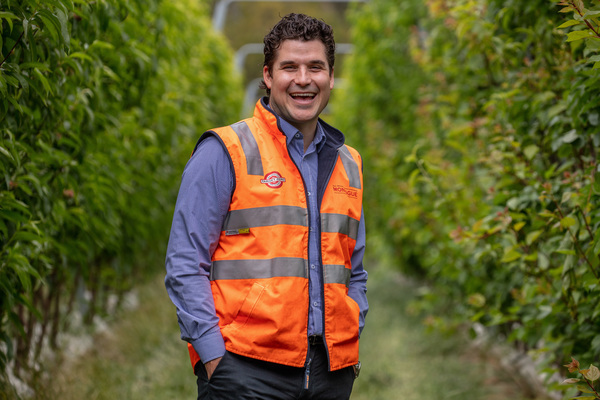 “Montague is a proud Victorian brand and the Victorian Government is backing its $26 million project to meet growing demand from export markets,” member for Narre Warren North Luke Donnellan said. Montague is a family owned business and a major Australian grower, wholesaler and exporter of apples, pears and stone fruit. 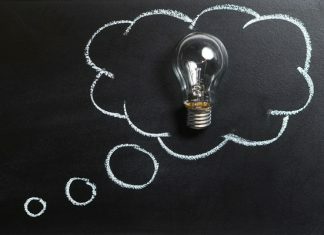 “The introduction of the new production and distribution facility will introduce Australian first packing and storage technologies for the fruit packing industry,” Montague business development general manager Rowan Little said. The Narre Warren North facility will provide the production and distribution infrastructure required to significantly increase the Montague Group’s export capabilities. The export distribution centre will manage export logistics services including packing, palletising, pre-cooling, inspections, documentation, container loading and freight forwarding. 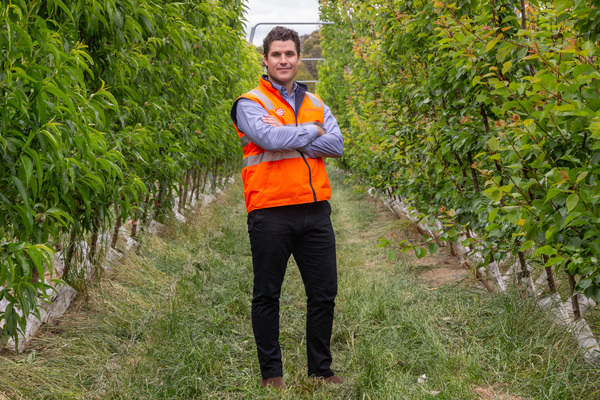 Montague and its grower network have planted approximately 1.5 million fruit trees to meet export demand from Asia, representing a 16 per cent increase in the total stock of fruit trees in Victoria. This project will allow Montague to double its packing capacity and dramatically increase its annual export sales, bringing economic benefits back to its growers in regional Victoria. 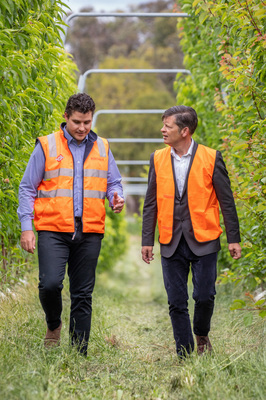 The establishment of the export distribution centre is supported by regional fruit growers and packers along the agri-food supply chain, who will work together to build stronger agri-food businesses. The government’s Food Source Victoria program supports producers and businesses working in partnership to develop products that take the state’s superb produce to the next level, creating new jobs and growing exports. 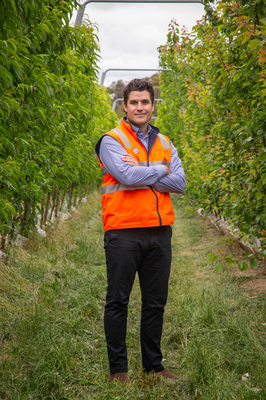 “Montague are proud to announce the first of a three stage development of a state of the art production and distribution facility in Narre Warren North, Victoria,” Montague supply chain manager Andrew Montague said. 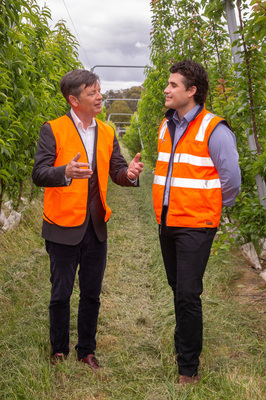 Montague leads a value chain alliance with 45 apple and stone fruit growers located across Gippsland, Goulburn Valley, Harcourt, Mornington Peninsula, Swan Hill and Yarra Valley who will supply the export distribution centre. The project will create 13 regional jobs within Montague’s key partner growers, delivering broad economic benefits to regional communities.